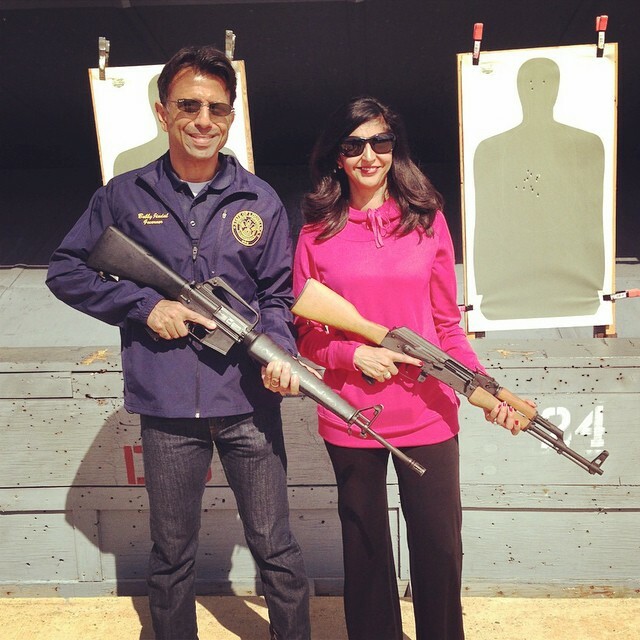 Louisiana Governor Bobby Jindal and his wife went to the shooting range yesterday. Jindal, who is expected to run for president, had an interesting choice of weapons and on that could tell a lot about himself. Governor Jindal and his wife shot both an AR-15 and an AK-47 clone. Now if this doesn’t tell you that Bobby Jindal is a squish, I don’t know what will. You’re either an AR guy or you’re an AK guy. If Jindal won’t take a stand on this important issue, how can we expect him to stand up to Iran or Putin?